Over the years, forklift trucks (FLTs) have been developed to become more versatile and adapt to the increasing demands of industry. While the technology of the machines has evolved, the performance of traditional fuels has not always kept up to speed. More and more businesses are now turning to Liquefied Petroleum Gas (LPG) to meet their increasing energy needs. This is because LPG is cleaner burning, cost effective, versatile, durable and reliable and does not compromise performance. As LPG from Shell is cleaner burning, it is preferable for dirt and odour-sensitive product movement. FLTs using LPG from Shell generate little operating noise, helping to provide a better working environment when used indoors. LPG-fuelled FLTs can operate both inside and outdoors, eliminating the cost, inconvenience and health and safety implications of running two separate fleets with one set of drivers. LPG-powered FLTs are quick to refuel, removing unnecessary downtime and making them ideal for continuous operation. Using LPG from Shell offers great fuel economy and low maintenance costs, which reduce day-to-day running costs. LPG from Shell has a high calorific value and is therefore capable of powering the movement of heavy loads. All the world’s leading forklift truck manufacturers produce versions capable of running on LPG from Shell. LPG from Shell can be stored in bulk tanks either above or below ground or in cylinders, making its storage extremely flexible. Suitable for use in all industries, LPG from Shell is the most versatile fuel for forklift trucks – the ‘workhorses of the warehouse’. Providing all the advantages of diesel and electricity, at less cost, LPG from Shell is now being used to fuel FLTs all over the world. 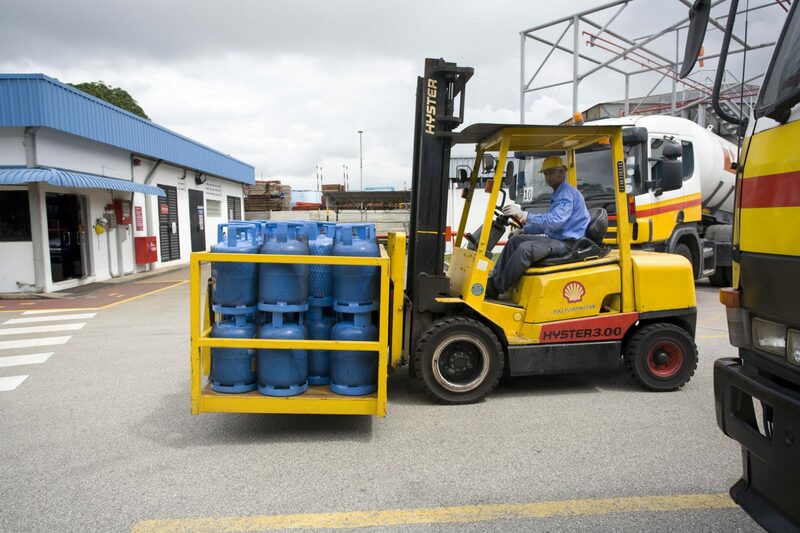 Although many forklift truck (FLT) operators still use electricity or diesel to power their fleets, more and more businesses are now turning to Liquefied Petroleum Gas (LPG) Philippines Inc. to meet their increasing energy needs. This is because LPG is cleaner burning, cost effective, versatile, durable and reliable and does not compromise performance. Shell Gas (LPG) Philippines Inc. is a leader in the supply of LPG to the forklift truck industry. To improve your business’ performance, a partnership with us can bring significant benefits by providing efficient, cost-effective energy solutions. If you have any questions or comments regarding our FLT offer from Shell Gas (LPG) Philippines Inc., please do not hesitate to contact us.